TV Tuesdays highlights TV shows that started in or after the 1980’s, with occasional exceptions. This week’s TV show is…. Episodes run the gambit from corny to brilliant, full-blown horror to a nice easy character episode. I’ll provide a list of the best five episodes to start with (in my opinion,) at the end of this post. I recommend you watch those, then start in Season 1 of New Who if you like it. (Season 1, Ninth Doctor.) Once you’ve watched the new stuff, find an episode list on the internet and watch Classic Who. Get episodes off of iTunes, Amazon Instant, Google Play, Netflix. (You’ll have to do a bit of searching for some episodes.) Not all the episodes are available anymore, because of BBC’s erasure policies during the 60’s, a lot of early episodes are missing. And you’ll probably have to rent the 1996 movie featuring the Eighth Doctor, since that was his only appearance. As far as content goes, language is really pretty mild, romance doesn’t go beyond kissing, (there’s some innuendo though) and there’s not a lot of gore (some gross moments when something explodes occasionally.) Overall, I’d recommend New Who for 10 and up, and Classic Who for 8 and up. Warning – the show tends to be something that once you get into it, it’s easy to binge-watch. At least for me. These are episodes that I love the most, and I feel give the best intro to the series. (Blink being the single best episode ever, in my opinion.) If you think differently, feel free to leave a comment. Plus, three bonus episodes once you’ve watched those! There you go – eight episodes, some two-parters, that to me, are some of the best of New Who. Have fun traveling in time and space with the Doctor! 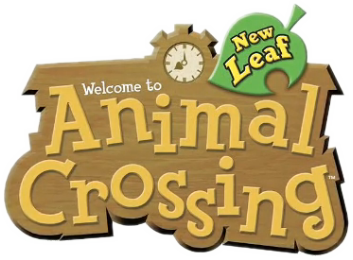 Animal Crossing: New Leaf is the latest installment in the popular Animal Crossing series. Other games in the series are Wild World, City Folk, and the original Animal Crossing. Animal Crossing is an open-ended sandbox game. The beginning of the game has you create a mii-style (though in my opinion, cuter) character through a series of questions. If you want a specific starting look, I recommend you look at the Animal Crossing Wiki for guides to faces and clothing and furniture… and stuff. Eventually, you’ll be able to buy your house, start improving the village, get more shops, plant trees… the options go on. You’ll be able to visit the island, where you can get bugs and fish in huge quantities (and I’ll give you a free tip – if you go after 8 PM, with a bit of luck and some skill, you’ll get the rarer nighttime bugs, which can be worth up to 15,000 bells back on the mainland. I’ve made over 150,000 bells in one trip doing that.) You’ll see your village tree grow, new villagers move in, some move out, some camp for a night, and some never leave. There’s usually a special event for all major (and some minor) holidays, with special items and (for one of the summer events,) fireworks that you can customize with patterns from your inventory. There’s a wide selection of clothing – hats, helmets, glasses, wigs, shirts, pants, skirts, socks, shoes, dresses – you can get a character (or more – you can have up to four player characters, but only the first one will be mayor,) all your own. The hair salon allows you to get a wide variety of styles and colors, and even color contacts if you aren’t happy with your eye color. The houses are far more expandable than they were in Wild World, and the furniture customization (from the resale shop,) is awesome. Oh, and the Dream Palace is wonderful. If you’re feeling destructive, just stop by, connect to the internet, and find a town, either a friend’s or a stranger’s. Once you’re in… you can wreck the town, and no harm will come to you, the town, or your friend’s feelings. It’s all a dream, after all! Overall, this was a great game, and I would definitely recommend it to anyone who enjoy open-ended, relaxing, sandbox style games. Frankly, there’s not a lot to it. You get on, make a character (or four!) and go wild in your town, forever and ever. And ever. Animal Crossing: New Leaf is for the Nintendo 3DS. It’s available at just about any game store. I’ve played several MMO’s over the years. I started out with Disney’s Toontown Online, (which actually closed last year,) and I currently play Lord of the Rings Online on a regular basis. I’ve played at least half a dozen different MMO’s, and while my selection is limited, (because I use a Mac. I have access to a PC, but not often enough to really get into a MMO,) I’ve played some of the major ones. Not all, since a lot were just plain too creepy for me even to try. (Like WoW.) This is four of the MMO’s I’ve played, with pros and cons, in no order of preference. I’ve played all three starting origins – Federation, Klingon, and Romulan. This game is very mission-based, at least early on, and it feels restrictive to me. Not so much on the Romulan (or even the Klingon) side, as the story, quests, and areas are far more user-friendly than the Federation. (It seemed like that to me at least – players who have played for years or even months may say differently.) I have heard that the game opens up a LOT once you get into later-game content, with festivals and such, but we’ll see as I level up. (yes, I’m still playing it. They came out with a Mac launcher, which I was thrilled about.) The graphics are decent, (not on the level of, say, LOTRO, though it could just be my computer not being able to run the game with better graphics.) For those of you who enjoy character creation, this has one of the most extensive character creations I have ever seen in an MMO. Go with a pre-made race, or create your own. Clothing/uniforms/ships are pretty extensive too. Practically every detail is customizable. Pros – Good character creation and customizing, reasonably user friendly (for Romulans and even Klingons,) and they have a Mac launcher now. Also decently okay graphics. Plus, y’know, it’s STAR TREK. Oh, and it takes place in the prime universe. Not the alternate timeline in which Vulcan exploded. Overall? I’d recommend you at least give it a try. Play to level 10, at least. Game’s rated T, but I don’t remember any gore or anything. Maybe a mild profanity here and there. This is essentially a war-game set in the Caribbean. I enjoyed it, but probably won’t play it long-term, since they don’t have a Mac launcher. If they get one, then we’ll see. The character customization was decent, especially in the clothing department. The game feels far less restrictive, and while you probably don’t want to venture too far at the start, you CAN visit other ports at any time. There’s a bit of a political system, which was interesting, a decent (if a bit confusing at first,) crafting system, an Auction House, and some okay storytelling. (Would have liked a clearly marked main storyline, kinda like LOTRO’s Epic Quests. Maybe there is one and I just missed it. Haven’t played very far.) The graphics are also decent (for an MMO. They remind me a lot of Disney’s Pirates of the Caribbean, which also closed last year.) Only thing I didn’t like was that since this is a war-game, you can’t play different allegiances. If you want to have characters of each allegiance, you have to hope someone wins the two-week (or more) war, at which point you can choose to switch sides. You can play different allegiances as much as you like for the peaceful weekend, but on Monday you get locked into the one you last played. I found that a little irritating, though it does make sense. Pros – It has a decent crafting system, if a bit confusing. Character customization was good, and ship customization also appears to be pretty good. Gameplay is pretty open-ended in terms of where you can go. Battles are kind of fun, and it doesn’t take very long to learn how to fight. Cons – Not being able to switch sides. I understand why, but it does irritate me. The story is a bit TOO loose. Maybe I missed something along the way, or just didn’t play long enough? Or maybe I’m unobservant? You also lose your ship if you sink. Realistic, but annoying too. This is a T-Rated game, so you can expect some mild profanity and plenty of hack and slash combat. Oh, and don’t forget the blood spurts. Bit gory? Yeah. Overall, it’s not for everyone. The launcher took me (I think?) 8 hours to download initially, which is pretty common. I downloaded it overnight for maximum speed. I recommend trying it if you enjoy war-games, or if you just want a decent pirates game to play on occasion. This is one of my favorite MMO’s of all time, so take this all with a grain of salt. It’s reasonably user-friendly, the players are fairly friendly and willing to answer questions (depending on the server you choose… I play on Riddermark, and the people there tend to be pretty friendly. I spend some time on Brandywine too, but I can’t speak for the players there, since I haven’t really played there in forever.) The character customization is pretty good, not on the level of STO, but not shabby either. The crowning glory of LOTRO’s customization system is their cosmetic wardrobe – no more mismatched armor that makes you look like you’ve raided a troll’s lair for it (even though you probably did.) And no visiting a clothing shop or anything – just open up the character tab, put together your outfit from extra armor or cosmetic clothing found, bought, or traded for at one of the many festivals, and wear it. You can dye nearly everything, and with the shared wardrobe (free for VIP, or bought from the LOTRO store with Turbine Points,) one item can hold multiple colors. Best part is it doesn’t affect your stats or your actual equipment – just makes you look nicely put together. The crafting system is symbiotic, with people with the farmer vocation supplying people like cooks with vegetables, foresters providing hides and wood to tailors and woodworkers, and so on. LOTRO also has gorgeous graphics and landscapes, a huge achievement system (called “deeds,”) and a really fun quest system, with the Epic Quests (the main storyline,) and dozens (sometimes hundreds, in the case of Moria,) of quests for each area. Once you reach Rohan (at level 75, and with the Riders of Rohan expansion pack,) you even get a War-Steed, usable anywhere as a horse, and usable in Rohan for mounted combat. The first few quest areas (The Shire, Ered Luin, Bree-land, and the Lone-lands,) are totally free. After that, you have to buy the quest pack for the area you want to play in, up to level 50, where you’ll want to buy Moria (the first expansion,) then probably Siege of Mirkwood, Rise of Isengard, then Riders of Rohan, and finally Helm’s Deep. (There are also quest packs to buy in between each of those too.) Yes, it’s expensive to buy all of these, but if you wait for a sale, you can get the first four in a quad pack for around 20-30 bucks from the LOTRO Market. Not a bad deal at all. (Or you can buy each separately. Honestly, I’d go for the quad pack.) Helm’s Deep is currently a bit more expensive at 20-30 bucks depending on the edition you want. They also have dedicated role-play servers for people who want to do that. Pros – Cosmetic system, graphics, storyline, crafting system, kinships (guilds in other games,) lots and lots of gameplay, the music system, the soundtrack… and, well, you can visit places like the Bridge of Khazad-dum, see the remains of the Balrog, visit Weathertop… I could go on. Oh, and they have a Mac launcher. Cons – Yes, there are some. Some servers don’t have a high population, though you can usually find people if you hang out in Bree. The game can get expensive, (though no more so than the Sims 3 – and people play that and buy all the expansions too.) The Epic Battles (the current end-game content,) can get old fast. The game has some major lag issues in certain areas, and the quests can feel repetitive after a few areas. (Go kill 10 orcs, go collect 20 crates, go kill such-and-such, pick some flowers.) The storyline in each area offsets that a bit, but still. If you decide you don’t like the server you’re on, you have to either start over or try to get a transfer (for about 20 bucks, last I looked.) The housing system is kinda useless, and non-social, but they’re working on it. And this game involves a LOT of running back and forth. Having a horse makes it better, but the world is huge. Overall, (I am biased a lot, since I absolutely adore this game,) I’d recommend playing to level 20. Should only take a couple weeks for a casual gamer, and you’ll get a really good idea of how the game works, plus you’ll get to do the first group instances (the Great Barrow) at level 20. The game is rated T, and there is alcohol, smoking, and a bit of gore involved. I personally did not enjoy this game, though I play it on occasion. It was a bit too simplistic for me, though my mom LOVES this game. It’s got cartoony graphics, a pretty good storyline, and the companion system is interesting. Character customization is really pretty limited, but it’s okay. The game has all sorts of little jokes in it relating to popular culture, like NPC’s named The Frogfather and Guy Fox (he’s even got a storyline complete with him trying to blow up the Armada fleet.) The battles are turn-based, rather than real-time, which can be nice. The game isn’t hard to learn at all, and it’s good fun for the whole family. Oh, and they have the single best housing system I have ever seen in an MMO. Giant houses (more like estates in the case of Crown (paid currency) bought houses,) lots of furniture… it has to be seen to be believed. Each area has to be bought past Skull Rock (the starting area.) You can’t even do the main story without buying areas. Pros – Easy to learn, good story, hilarious little dialogue blurbs and NPC’s referring to popular culture, and the housing system. Oh, the housing! Cons – People used to games like WoW and LOTRO will probably find it overly simplistic, and the graphics too cartoony. The turn-based system can become annoying when playing with other people who end up lagging and can’t select anything, making the battle take longer. Character customization is limited. Overall, I’d still recommend it for people who want to play with their young kids. It’s actually a good entry-level MMO. Just expect a lot of “I need this to keep playing.” Buying a membership helps, because then you get all the areas. DC Universe Online (Okay, I’m still downloading the launcher…. but I will have played it soon! Superhero stuff is awesome. No Mac launcher though, which is sad.) Edit: I finished downloading the launcher and started playing this afternoon. Other than some lag issues, and trouble finding an open name, it’s pretty awesome so far! Saturday Mornings criteria include, but are not limited to a) being a show geared toward young teens or under, b) being something that adults can possibly tolerate for one or two episodes, and c) generally feeling like something you’d watch on – you got it, Saturday mornings in your PJ’s. Occasionally these will get thrown out and a movie, or a show that makes adults grimace will get added in, but this is technically adult-tolerable TV for kids. I watched one episode (well, three, since cartoons seem to like their three-parter pilots) and I didn’t want to put it down. Needless to say, it was better than I expected. It was a little corny, but it is a cartoon, after all. A couple of astronauts are on Mars, looking for signs of water. They mine what looks like an ice crystal, causing a cave-in of the surface. One escapes, the other, Carter, falls in. He lives, but finds an old temple thing with runes and stuff. He proceeds, against all reason, to open it. (I was yelling “don’t do it! This never ends well!” He opened it anyways, and is blinded by a bright light. We then cut to a Wayne Tech building, where Batman is being… Batman. Turns out most of the staff (there are only a few,) are aliens. After a short fight, Superman shows up to help, and is promptly knocked out by a blurry set of images. The aliens blow up the building (which was part of a deep-space monitoring network,) and Batman swings both him and Superman to safety, where Superman wakes up, explains what happened, gives Bats a signal watch, and goes back to Metropolis. Back in Metropolis, there’s a big argument going on about the warheads that the US has. Turns out that the astronaut from Mars that found the temple is still alive, and he’s a senator now. Uh-huh. Because we all know that strange temples on other planets always let people go back home totally fine. Superman volunteers to protect the whole world, which we all know is impossible for him to do on his own. I’m sure we’ll find a solution for that though! Superman gets another series of images, like the first time, and then we cut back to Batman, who is being Batman again, just at S.T.A.R Labs this time. He fights a bizarre alien dog, and activates the signal watch Superman gave him. Superman comes, and finds Batman knocked out. He flies him to safety, and then goes to check out the meteor that just crashed into downtown Metropolis. Turns out it’s more of those aliens. And they proceed to wreck downtown, as is fairly normal for invading aliens. Superman and Batman fight them for a bit, before Superman gets another set of images and flies off without a word. More meteors land around the world, and we cut to…. wait for it… Wonder Woman! Seems that Diana wants to go help out, and her mother doesn’t want her to go, since she believes anything past their borders isn’t their concern. We jump back to Batman, who’s tracked Superman to a government facility, where they’re holding J’onn J’onzz, the Martian Manhunter. Turns out he’s fought these aliens before, and these aliens had him imprisoned so he couldn’t warn Earth. Cue end credits. Part Two starts out with Diana stealing the Wonder Woman stuff and heading off to help the rest of Earth. We cut back to Batman and Co. fighting off the aliens and trying to escape. The aliens chase the Batplane, and the rest of the main cast show up to help. Turns out J’onn was telepathically calling them too. So finally, we have the whole gang together. Batman, Superman, Wonder Woman, Martian Manhunter, Hawkgirl, Green Lantern (this one is John Stewart,) and the Flash. J’onn J’onzz then tell the story of these aliens that are attacking. They ended up razing the Martian culture to the ground, and killing all but J’onn, who led a strike team to paralyze the aliens, sealing them in the temple that Carter opened years later. Turns out J’onn was the only survivor of the Martians, and kept an eye on the temple for hundreds of years, until Carter showed up and revived the aliens. The group breaks up into teams to take out the factories the aliens have been building. Batman, Wonder Woman and J’onn successfully get into their factory, but Batman is supposedly killed, allowing J’onn and Wonder Woman to escape. Superman and Hawkgirl get into theirs, but get knocked out and captured. Green Lantern and Flash don’t even get into theirs. Part Three then starts out with the group working together to rescue Superman and Hawkgirl, while the Imperium (the supreme intelligence directing the aliens) arrives on Earth. The group gets into the factory, and is promptly knocked out and captured. The Imperium, who looks like a kid’s crayola drawing, tortures J’onn, who turns out to have a will of iron. And… Batman’s alive! J’onn had mentally hidden him from the aliens. (Oh, and Senator Carter was an alien, and used Superman to weaken Earth’s defenses.) Batman disables the factory, rescuing the group, J’onn tries to destroy the Imperium, but gets knocked out. They defeat the aliens by knocking holes in the ceiling, (turns out these guys are all allergic to sunlight,) they blow up the factory, and they save the Earth. Yay! Batman has the Watchtower (a orbiting space station) built for the group as an early-warning system, and Superman suggests that they all band together to create the Justice League. I watched all five seasons, and enjoyed the show a lot. The first two seasons are entirely two-parters, with the occasional three-parter thrown in. Seasons 3-5 (aka JLU) went back to a single episode format focusing on three or four characters. 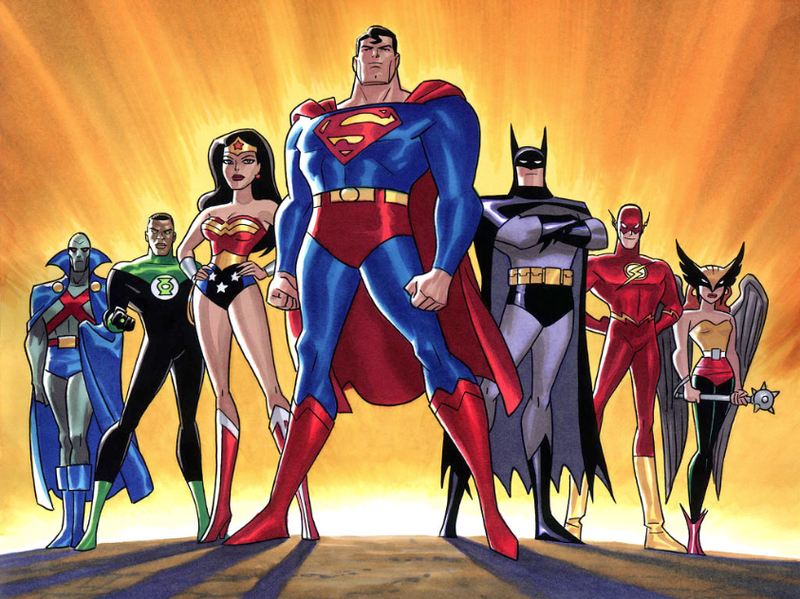 Justice League Unlimited also brought in nearly every superhero in the DC universe, raising the cast from 7 people to over 50 or so. Overall, this is a pretty good show. It’s rated TV-Y7 with Fantasy Violence. There’s actually a lot of violence, (this is a superhero show, after all,) but I don’t recall anything horrific. There’s a surprising amount of innuendo for a kids show – I don’t think anyone under 11 or so would get any of them, but still, the show’s probably more appropriate for preteens and up. Netflix has both the first two seasons of Justice League, and the other three seasons from when it became JL Unlimited on instant play. Story Sundays are about… books. Book 7, Erak’s Ransom, takes place between books 4 and 5, and details Will’s adventures in Arrida, saving both Tug (his horse) from the desert, and Erak (the Skandian leader) from the ruthless Tualaghi, a northern desert tribe. At the end of the book, Will is promoted to a full-fledged Ranger, and given his Silver Oakleaf. 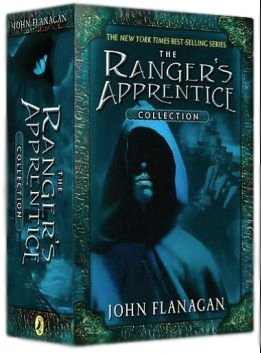 Books 5 and 6, The Sorcerer in the North and The Siege of Macindaw, detail Will’s first mission as a full Ranger. Will is sent to a northern fief to investigate claims of sorcery, and ends up helping to retake Macindaw after a coup is staged by the rogue knight Keren, cousin of the castle lord. At the end of book 6, Will realizes his long-standing feelings for his childhood friend Alyss. Books 8 and 9, The Kings of Clonmel and Halt’s Peril, explore Halt’s background as part of the royal family of Clonmel, a kingdom in Hibernia, and his, Will’s, and Horace’s mission to destroy a cult called the Outsiders, led by a false prophet named Tennyson. Book 10, The Emperor of Nihon-Ja, follows Horace in his attempt to protect Shiguru, the Emperor, from a deadly coup d’état instigated by Arisaka, a power-hungry Senshi. He is joined by Evanlyn (Cassandra, the crown princess of Araluen,) Alyss, Will, Halt, and a Arridi leader, and friend to Will and Halt, named Selethen. They succeed, and the end of the book sees Horace and Evanlyn engaged, and Will proposing to Alyss. Book 11, The Lost Stories, is a collection of 10 short stories cleaning up loose ends and finishing off wanted stories (like Will and Alyss’s wedding!) from the first 10 books. Book 12, The Royal Ranger, follows Horace and Evanlyn’s daughter, Madelyn, in her first year of training as a Ranger under Will Treaty, making her the first female Ranger. These books are absolutely brilliant for anyone who likes medieval settings, sword fights, archery, and general adventuring. I personally loved them. They do have some mild profanities, but nothing you wouldn’t hear on an episode of Star Trek. I read them on my Kindle, but they’re available just about anywhere, in print or electronic. I’d recommend them for ages 11 and up, personally. A few of the fights and some of the descriptions can get a little on the dark side. We’re back… to the future! Enter your email address to follow EftM and receive notifications of new entertainment by email.